This week’s theme: Food Gifts! I like to get food as presents when I’m traveling. I usually get chocolates and nuts because they are easy to fit into my bags and they aren’t heavy. Last Sunday, I went to the Hollywood Farmers’ Market in LA and got a bag of pistachios to bring back. I’ve bought these before and they have always been a hit. I personally can’t comment on what they taste like because I can’t eat them (I’m allergic, remember?) but I hear they are delicious. 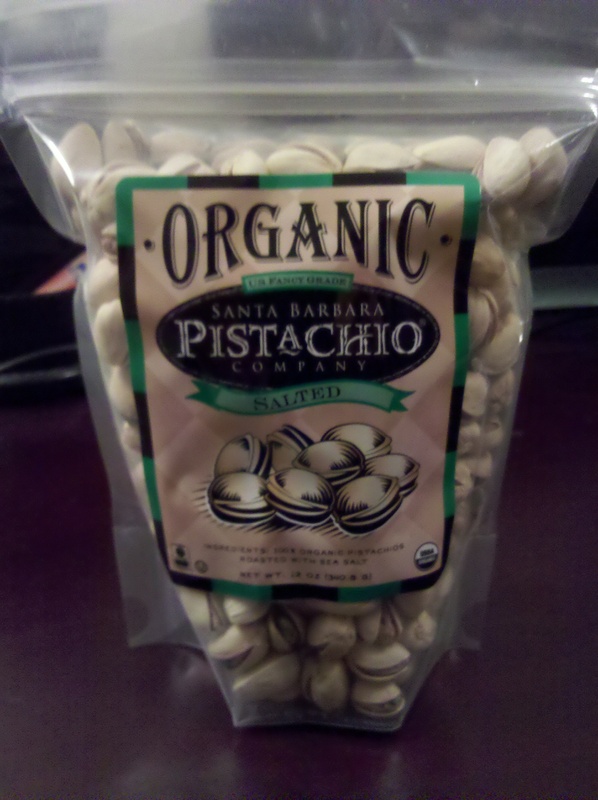 My sister first introduced me to these pistachios (http://santabarbarapistachios.com/) a few years ago. Last December, on my way to stay with a friend for winter break, I bought the holiday variety pack and received a free tote! They have flavors like: Onion garlic roast, lemon zing, hickory smoke, and chile-lemon. I decided on the salted ones for the occasion. For some reason, I enjoy gifting nuts even though I can’t eat them. I think it’s because it makes me feel like I can taste them vicariously through other people.